First day of spring and the ice is melting on the rock cliff. 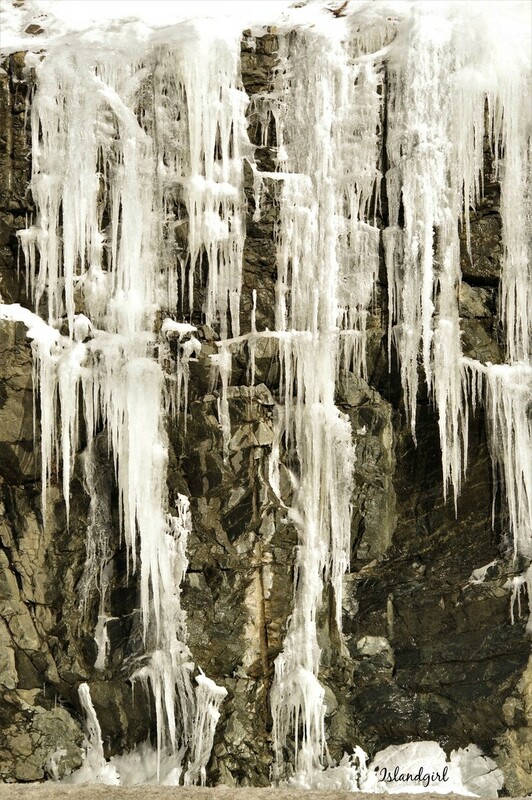 Thank you for the lovely comments and favs on yesterday's photo of "Icicles". Soon they will all be dripping! wow... so many! Great shot. Terrific capture of those icicles. It's so pretty the way icicles formed from water in the rocks end up melting. Great shot. Wonderful shot! Love your processing! Wonderful vista and capture. Fav. Wow! This is really beautiful. That's so pretty and quite delicate looking.